We're busy getting ready for all the additional lives we'll be able to save with the opening of our facility mid-2019, but we can only save more senior pets with YOUR help! 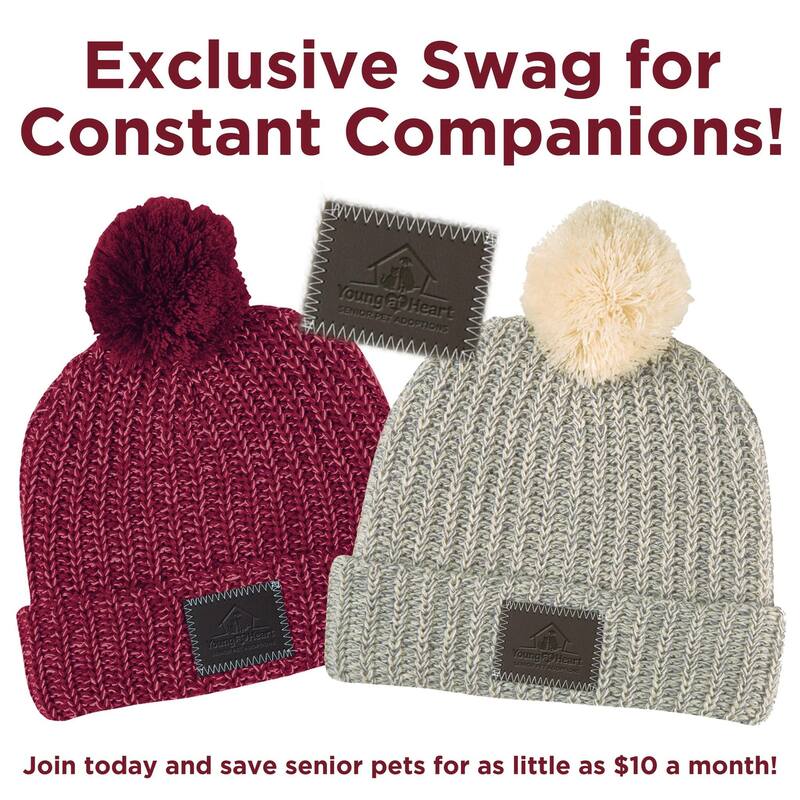 Become a Young at Heart Constant Companion member by pledging as little as $10 per month and make an incredible difference in the lives of homeless senior pets that just need a second chance. Constant Companions are the heroes of Young at Heart who become monthly sustaining donors, contributing money year round to help save the lives of senior pets. Your monthly commitment reduces the time we spend fundraising, helps us plan our operations, and – most important – allows us to rescue senior pets we would otherwise be unable to help. Knowing that we have your ongoing support means that we can confidently say YES! to helping many more loving, amazing old souls. -An exclusive newsletter just for monthly donors! -Exclusive Young at Heart member swag shipped each Feb/March! -Warm fuzzies knowing that for the cost of a couple of cups of fancy coffee, you are directly saving the lives of senior pets!